There are more than ten online modes: Team Death Match, Search and Destroy, Elimination Match, Ghost Mode, Free-For-All, Mutation Mode, Escape Mode, Hero Mode, Hero Mode X, Zombie mode, Elite mode, Wave Mode, Shadow Mode, Biochemical Knight Mode, Ghosts vs Mutants, RPG/Melee Mode, Soccer Mode, Light Mode, and Super Soldiers TD. 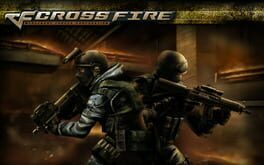 CrossFire is free to download and playable online. It has a free currency which is called Game Points (GP), which are earned through playing and completing matches, buying premium items that grant bonus GP, or fulfilling certain missions. Premium and special items like modified weapons can only be bought using points which are obtained using real money in the form of cards or online transactions. The content and the name of the points tends to vary from version to version.